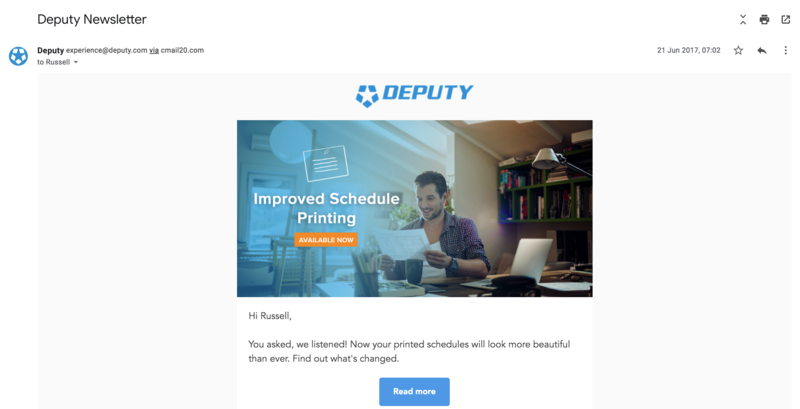 This guide teaches you how to stop receiving the Deputy newsletter and other correspondence. 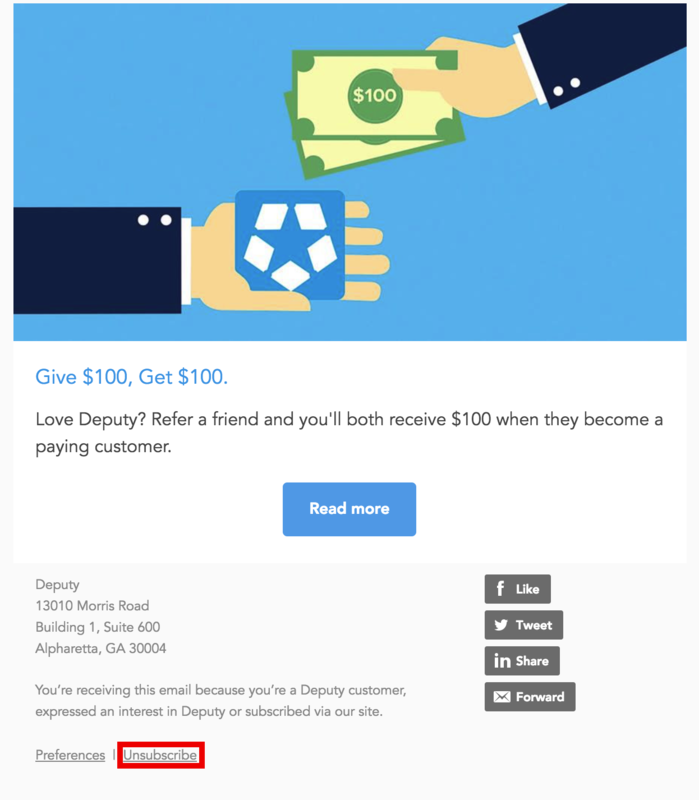 If you wish to stop receiving emails from Deputy, this guide will show you how to unsubscribe. Please note that this only removes you from our marketing and newsletter mailing list. You will still receive emails about open/swap/replace shifts, and news feed posts. Find and open up any Deputy email (newsletter or update email). 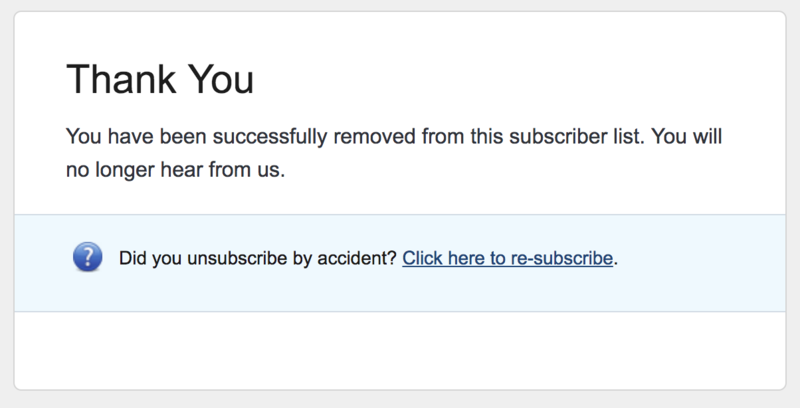 Now scroll to the bottom of the email, where you will see the 'Unsubscribe' button. The following page will confirm that you have unsubscribed from the mailing list. 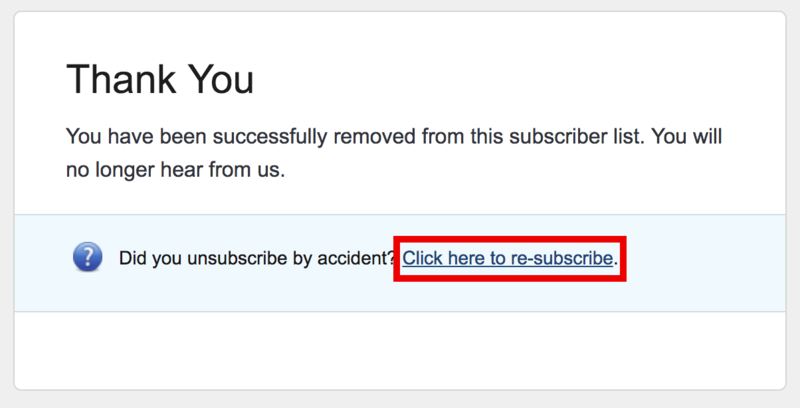 If you clicked this by accident, simply click on the 'Click here to re-subscribe' button.